Like a scene out of the popular TV show Friday Night Lights, on Sept. 12, 2014 the Loyola Cubs varsity football team ran to the end zone bleachers where an excited crowd of students greeted them after their 42-35 win over St. Augustine. For the first time in 65 years, Loyola hosted a home football game on campus. 2016 marks the second straight year since regular season home games have been held on campus, and the benefits have been tremendous, making home football games worthy of continuing. 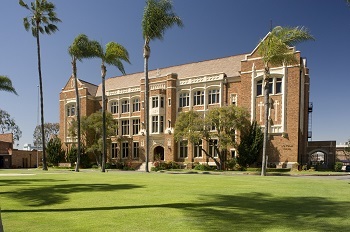 Before the administration’s choice to move home football games back to Loyola, the Cubs called Los Angeles Valley College, a large venue that significantly contrasts with Smith Field’s intimate, intense atmosphere, their home. For many students, fans and alumni, driving all the way to the San Fernando Valley with Friday night rush-hour traffic was inconvenient and time-consuming. Compared to Los Angeles Valley College, Loyola’s centrally located campus, just minutes from downtown and major highway junctions, shortens the average commute for parents, students and alumni alike. Moreover, students have the opportunity to stay on campus after school, contributing to the overall spike in convenience and attendance for Cubs. In addition, home football games have–arguably–boosted school spirit. The convenience of hosting games on campus promotes more consistent attendance from alumni, parents and students and, in turn, boosts school pride. In anticipation for the game, a certain intangible level of energy spreads across campus. With greater attendance and a home field to foster school pride, the student section is louder and more cohesive. In the massive stands of L.A. Valley College, the students’ chants dissipated to whispers; now, students and parents are wedged against the sideline and end zones. The convenience of home games also allows cheerleaders and the band to be concentrated in a single area, which also promotes a more spirited atmosphere. The team itself benefits from a more intimate home field. The concept of actually protecting a “home” serves as a major morale boost to the players. Playing on the same field as they practice, Cubs feel a greater responsibility to protect their home field. Coaches and trainers have easy access to Loyola facilities, such as the trainer’s office, coaches’ office and locker room, and the team does not have to take a bus to the Valley. Prior to 2015, the Cubs had to bear the burden of travelling in Friday afternoon traffic. This travel was stressful and–arguably–disallowed the mentality of being a home team. Bringing the camaraderie and spirit of high school football has also brought additional revenue to the Cub Corner and Z’licious facilities on campus, as Cub Corner has seen an increase of 50% in sales at home games. Furthermore, clubs and activities tied to football, such as Loyola Pride, the Broadcast Club and cheerleading, previously had to make the trip to the Valley. These clubs are now able to focus less on logistics and more on their contribution to the community. Additionally, special events like the “Take your Little Brother to the Game” program seem to hit home in every sense of the word, connecting the aspect of senior and freshman interaction to the centrality of the Loyola campus life itself. Home football games on campus have created a spirit of camaraderie and community on the Loyola campus. Indeed, after years of playing in a stadium that did not feel like “home,” Cub football has a place where community and pride converge. Previous ArticleKaepernick’s Protest: Justified or Unpatriotic?